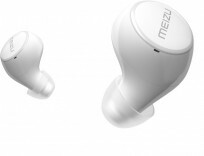 The POP really wireless water-resistant earbuds has a 5.8g light-weight design. It has touch interaction and comes with a case for charging, and that case has wireless charging. It has an ergonomic in-ear design so that it doesn’t fall off easily even during strenuous exercise such as running and other fitness activities.